Valentine’s Day Giveaway: Because We Love You! With Valentine’s Day fast approaching, we think of how much we love the people around us. The excitement our readers share over cupcakes brings us so much joy. As a way to show our love for you all and to say, “Thank you,” we are having a giveaway! 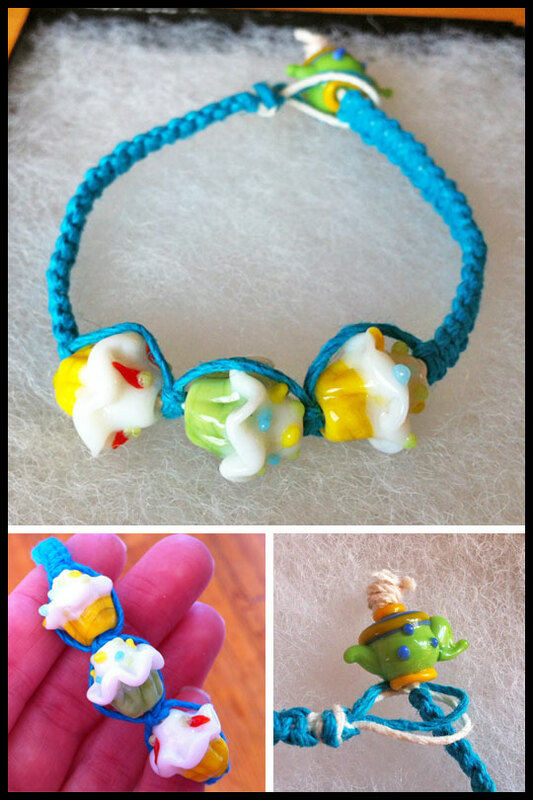 We’ve included a lot of fun items, but the really special piece is a cupcake hemp bracelet, from Ashley’s Hemp Creations. She’s a friend and guest crusader, and has made this special bracelet just for us! This bracelet features three unique cupcake glass beads, blue hemp, and a teapot glass bead closure. It’s truly one of a kind! We couldn’t have a giveaway without one of our favorite Cupcake-2-Go containers! 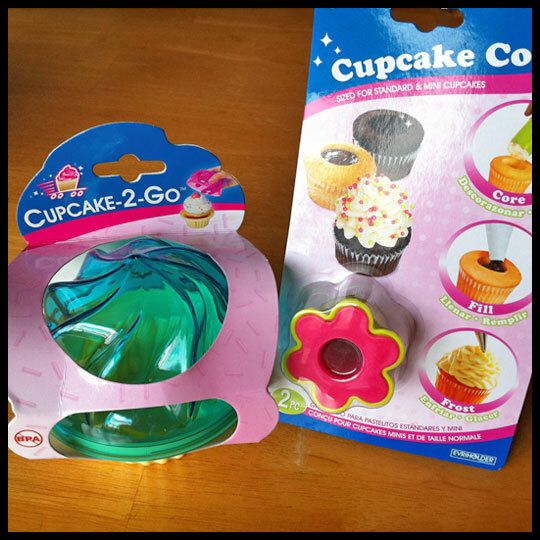 This time we’ve also added in a handy cupcake corer. There are 7 different ways to enter, but some will earn you 2 entries, so you can earn up to 10 entries—and it is so easy! 1. Leave a comment below about something (or someone) you are in love with this Valentine’s Day. 2. Follow our blog via email & comment below that you did or already do. > This will earn you TWO entries! 3. Follow us on Facebook or Twitter & comment below that you did or already do. 4. Share this contest on Facebook or Twitter & comment below that you did or already do. 5. Follow us on Pinterest & comment below that you did or already do. 6. Pin this contest onto Pinterest & comment below that you did or already do. 7. Follow us on Foursquare or Foodspotting & comment below that you did or already do. The contest will close on midnight on Thursday, February 7th, 2013. A winner will be drawn at random and announced on Friday, February 8th, 2013. The winner will have 24 hours to send their mailing address so the package can be sent out in a timely fashion (hopefully arriving before Valentine’s Day!). We are only able to ship within the USA. Sorry to those who don’t qualify! 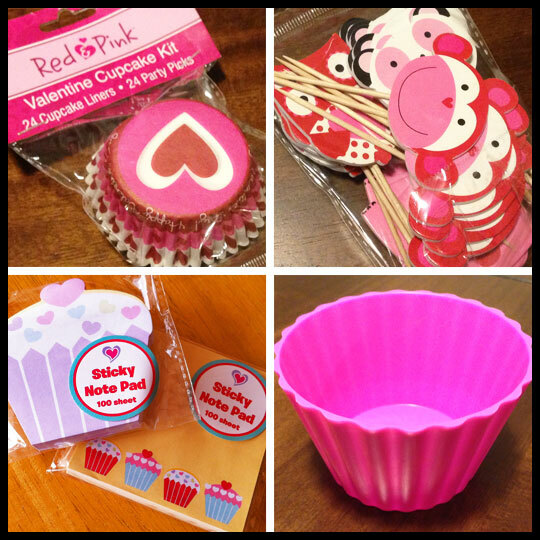 This entry was posted in Cupcakes, Giveaway and tagged cupcake bracelet, cupcakes, giveaway, valentines day by Crusader Jenn. Bookmark the permalink. As much as I would love the items in this give-away, I think I should give someone else a chance. Lol. I’m in love with The Walking Dead coming back- nothing says Valentine’s day like zombies! I “love” making people smile and that’s what I hope this stuff will do to the lovely women I’ll give this to, who actually just started a cupcake business. Lastly. I love my nephew Micah this valentines day! I already follow the blog by email! I am now following on Pinterest! Following and shared on FB! I also follow you on Foursquare! I love my husband and 2 little girls that were made with love. I already follow the blog by email and on Facebook. I am sharing the contest through Facebook. Happy Valentines Day! I love my husband and two ‘Made with Love’ daughters. I follow by email and through Facebook. And I am sharing the contest on FB. Happy Valentines Day! I love my family. My cousin had a stroke she will be all right. Thank goodness. That is what I love this Valentines Day. I Follow Cupcake Crusader on Face Book Under LeeAnn Perry.